The record is made up of 1 map. It was created in May 1854. It was written in English. The original is part of the British Library: India Office The department of the British Government to which the Government of India reported between 1858 and 1947. The successor to the Court of Directors. Records and Private Papers. Issued by the Foreign Office Research Department in May 1954. Copy of the original map published as an Annex no. 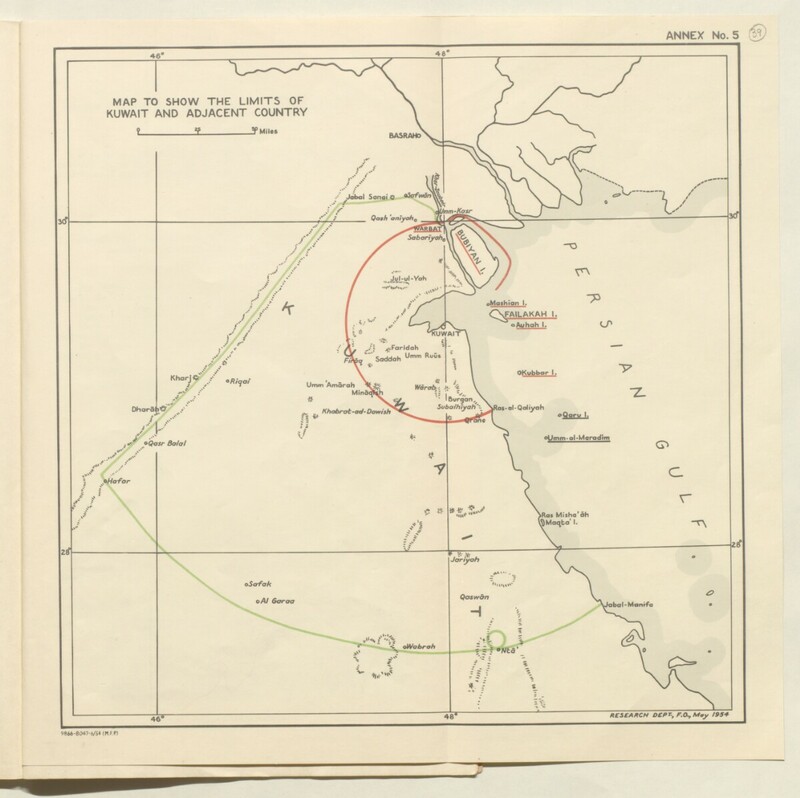 5 to unratified Anglo-Ottoman Convention of 29 July 1913 with inner and outer limits of Kuwait authority shown by red and green lines respectively.